Rocket Science Games, the developer, was founded by a prolific entrepreneur and a workaholic game designer in 1993 and later received a $12M investment, in part from Sega. 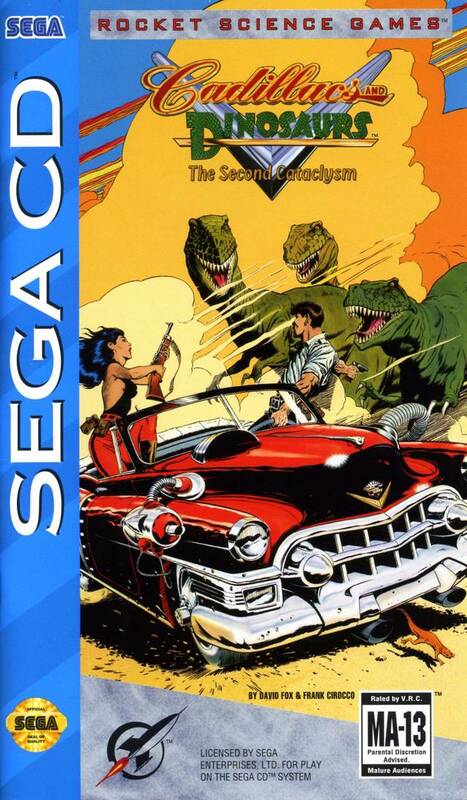 At first glance, Cadillacs and Dinosaurs: The Second Cataclysm is very interesting. 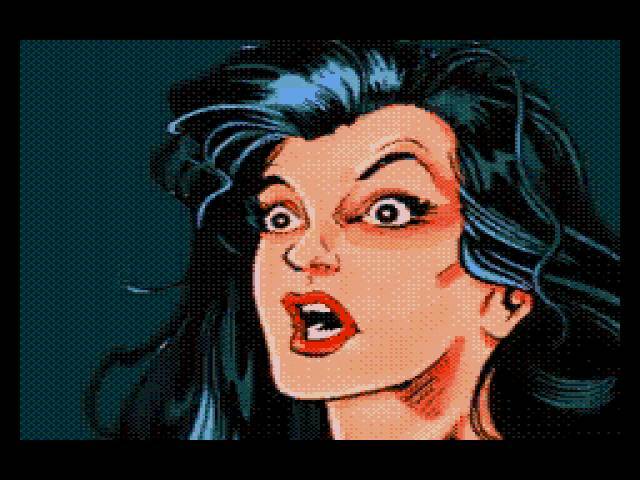 This Sega CD/PC video game is based off of the Xenozoic Tales comic books/TV show and it features graphics and cutscenes that stay true to this heritage. Another way the game sticks to its foundation is through the inclusion of the zany post-apocalyptic story. I perceive the developer’s as having a passion for translating this intellectual property into a video game, and yet, my first impressions of The Second Cataclysm are negative. Repeatedly playing the first level of the on-rails shooter deflated my morale until I eventually threw in the towel. Through a brief comic book in the manual and an introductory cutscene, I was enlightened on the setting and plot points of The Second Cataclysm. Many hundreds of years in the future, Earth was ravaged by unnatural disasters and the remaining humans survived and thrived underground. When they returned to the surface, the planet was overrun with the remains of their civilizations and confusingly, dinosaurs. They’ve learned to follow the “machinatio vitae” which calls for a balance between nature and machinery and when a race of highly developed ground dwellers sense an upset in this balance, they seek out all around good guy Jack Tenrec to prevent another cataclysm like the one that devastated Earth hundreds of years before. The game looked good (considering the terrible grainy picture), but the gameplay was bland and difficult. With his trusty accomplice Hannah Dundee and his 1953 Cadillac, Jack sets out to stop Wilhelmina Scharnhorst’s megalomaniacal ambitions. His road to success is littered with obstacles however, first and foremost that there isn’t one! As I cruised through the jungle in Jack’s hot ride, I’d try my best to avoid rocks, logs, and dinosaurs and if I couldn’t, I’d have Hannah blast them with her gun. I had to keep an eye on the path ahead though because the road to success wasn’t straight. I’d have to make split-second decisions when I came to forks in the road and I’m not quite sure if this holds true in the earlier stages, but the manual leads me to believe that I could go in circles. Keeping the “machinatio vitae” in mind, I’d try my best not to blast dinosaurs because when I did, my time limit to reach Scharnhorst decreased. Hannah was shocked to hear that the game’s cutscenes involved little to no animation. Looking back, I probably was going in circles. 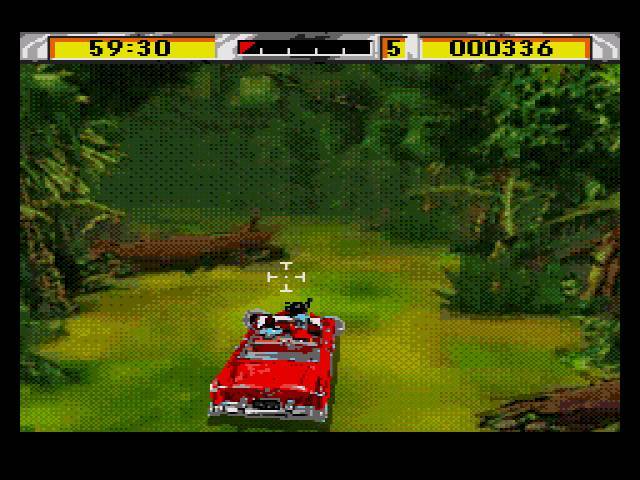 Still, I would stick it out for as long as I could until the Cadillac was too beat up from obstacles or I ran into a dinosaur preventing me from completing the first stage. I’m not all that interested in trying to best myself and complete the first stage to, reportedly, do the same thing in the same environment six more times until the game alters its stage design before capping off Jack and Hannah’s journey. An ambitious game with tepid gameplay – Cadillacs and Dinosaurs: The Second Cataclysm is a game that can remain extinct. Haha. This sounds pretty crazy — too bad the game didn’t live up to the bizarre concept! Nice to see some Sega CD reviews. That’s a system I never got to play, though it sounds like I’m not missing much. Not missing much. There are some really cool games on the system, but not many.